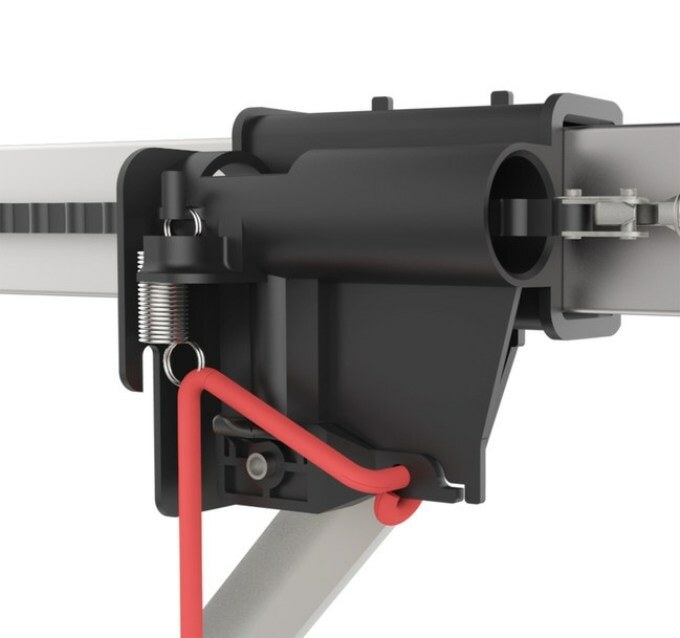 Skylink Group, a leading provider of connected home safety solutions, today announced the ATOMS Garage Door Opener's latest patent-pending feature, a tamper-proof trolley designed to safeguard the home. To implement this feature successfully, the Skylink Group has designed two components, including a blocking plate that does not allow potential intruders to disengage the emergency release latch, as well as a protector shield to prevent the release handle from being pulled on from outside the door. Skylink Group's ATOMS Garage Door Opener is the only garage door opener on the market to utilize the tamper proof trolley. "Standard garage door openers are exposed to the wits of intruders who use clothes' hangers and similar objects to disengage emergency releases," says Gallen Tsui, president, Skylink Group. "With our patent-pending blocking plate, we can safeguard the largest entry point of the home and give families peace of mind." Skylink's ATOMS GDO retails starting from $149, and is available at www.skylinkstore.com.